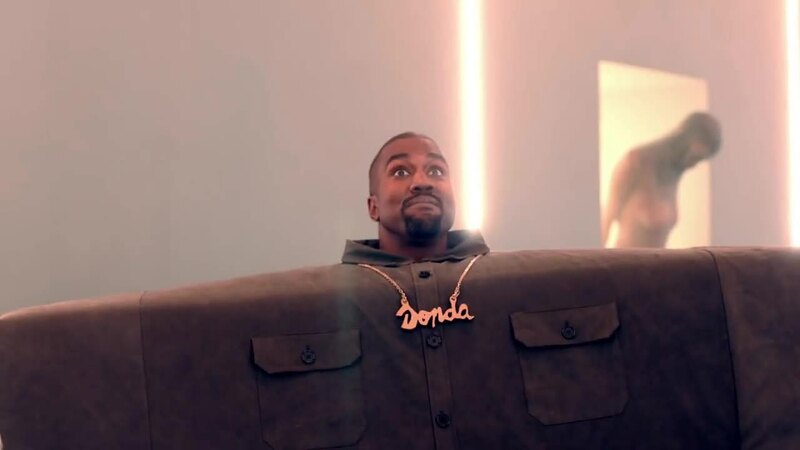 On September 7, Kanye and Lil Pump premiered the “I Love It” music video at the 2018 Pornhub Awards. In a month, the video racked up more than 220 million views. The music video features Kanye and Pump in blocky, wide-shouldered costumes swaying and walking down a hallway while rapping the song’s raunchy lyrics. The video inspired the #ILoveItChallenge. Fans make videos of themselves dancing, walking, and stepping to the beat wearing DIY blocky costumes. Costumes: To create the boxy costumes, you need to get crafty with cardboard. Find large packing boxes, preferably ones that are easy to cut. If you can find a long, narrow box, you can cut a head hole directly in the center. Otherwise, you can tape or fold two boxes together. Then, drape a sheet or big bolt of fabric to the cardboard so that it looks like a shirt. You can also make a chain accessory to copy the one that Pump wears in the video. Shoes: Kayne and Pump also wear oversized slippers in the video, so consider getting jumbo shoes to go with your outfit. You can also make this clowny shoe using a pillowcase and a shoebox. Filming: Get a friend to film you or, better yet, a friend to be in the video with you. Make sure to play the song while you film so that you can time your dance and move to the beat. Song: After you capture the footage, use a video editor (we recommend Kapwing’s Add Music tool) to mute your footage and add the “I love it” music back over your video. Adding the music removes the background noise from footage and makes the audio higher quality. Here’s an MP3 of the “I love it” chorus, made with Kapwing’s Convert YouTube to MP3, that you can use to make your video. Publishing: Once your video is ready, download the MP4 to share with your friends and publish on Twitter! Make sure to add #ILoveItChallenge so that your video gets to its fans.